Home » Telugu » News » Mahesh Babu’s film with Vamshi Paidipally to deal with this burning issue? Read to know! Latest reports reveal that Mahesh 25, as it is being referred to, will deal with farmer suicide and the actor would be seen playing a central character in the film. Mahesh Babu’s upcoming film with Vamshi Paidipally has already garnered a lot of attentkion courtesy the superstar’s new bearded look. 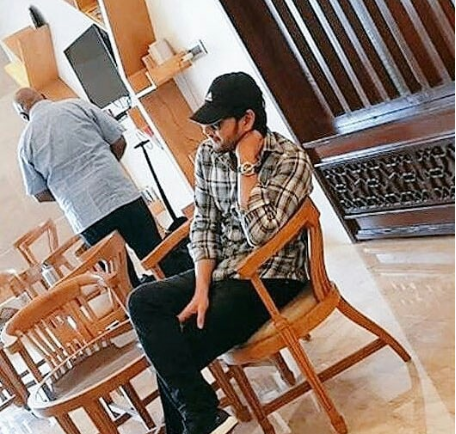 Pictures from an audio launch event and few from the shooting spots that got leaked showed Mahesh Babu’s look and fans of the actor are much excited to see him in this new look. The shooting of the film is currently underway in Dehradun which involves Mahesh Babu. The makers have roped in Pooja Hegde as the leading lady who will also be seen alongside Jr NTR as the lead actress. And according to few reports in the media, the yet untitled film will deal with a burning issue in the society. Latest reports reveal that Mahesh 25, as it is being referred to, will deal with farmer suicide and the actor would be seen playing a central character in the film. It is also being said that Mahesh’s character may have a direct relation to the issue and the protagonist will take up the issue and fights it for the farmers. Being produced by Dil Raju and Vyjayanthi Movies jointly, MB 25 will have Mahesh Babu sporting a beard look after ages. Mahesh Babu has been spotted couple of times already with a heavy beard and this has created huge excitement amongst fans of the super star. Actor Allari Naresh too would be seen playing a pivotal role in the film which is said to be a complete entertainer with commercial elements. Further details about the cast of the film are yet to be confirmed by the makers which is expected to happen in the coming days.